1Not available with special finance or lease offers. See dealer for details. 2See dealer for details. CONQUEST INCENTIVE FOR CURRENT OWNERS/LESSEES OF A 2005 OR NEWER NON GM (I.E., NON-BUICK, CADILLAC, CHEVROLET, GMC, HUMMER, OLDSMOBILE, PONTIAC OR SATURN) PASSENGER CAR OR TRUCK. Must own vehicle for 30 days prior to your Encore purchase. Not compatible with discounted sales (ex - GMS, GSU, GDS, etc) 3Not available with special finance or lease offers. See dealer for details. 4Must finance through GM Financial. Some customers may not qualify. Not available with some other offers. See dealer for details. 5Monthly payment is $13.89 for every $1,000 you finance. Average example down payment is 4.5%. Some customers may not qualify. Not available with leases and some other offers. Take retail delivery by 4/30/19. See dealer for details. The latest Buick Encore offers you the best aspects of both a sedan and SUV. The interior comes with a driver information center and a diagonal touchscreen display, for convenient information monitoring. With a sleek, sculpted exterior design, accompanied by well-defined, elegant headlamps and front grille, the Buick Encore makes a lasting impression. With safety features like OnStar and standard airbags all around you, the Buick Encore drivers can rest assured they're in one of the safest vehicles on the road. Take pleasure in easy connectivity and a multitude of infotainment choices in this vehicle. Performance-enhancing components like the Stabilitrak technology and traction control ensure that you get control on this vehicle. 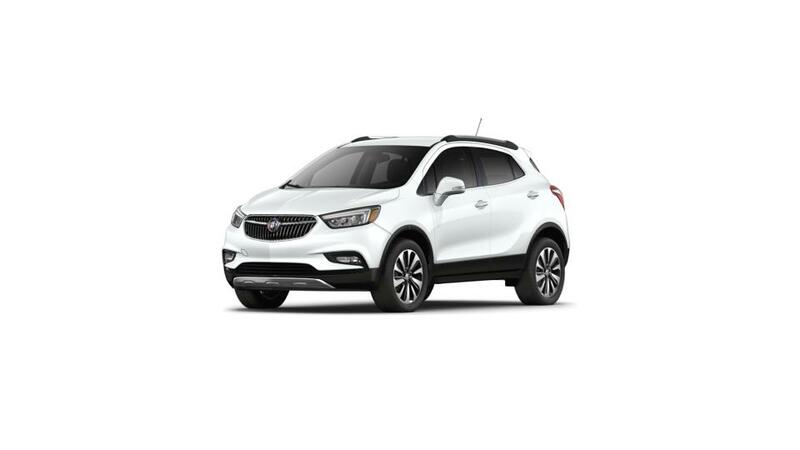 If you’re looking for a new Buick Encore, then simply head to Jim Murphy Buick GMC in Depew. This vehicle is available for sale and lease at our dealership. You are sure to find the vehicle you desire. With full service and repair available, we can keep your encore driving better, longer. Don’t forget to check the Buick Encore lease deals at our Depew dealership; contact us at (716) 989-5020 or online to know more.